When I first started teaching writing workshops with kids, it was for selfish reasons. I was in a place of transition in my career and that meant a great deal of obnoxious self-reflection about what made me truly happy. 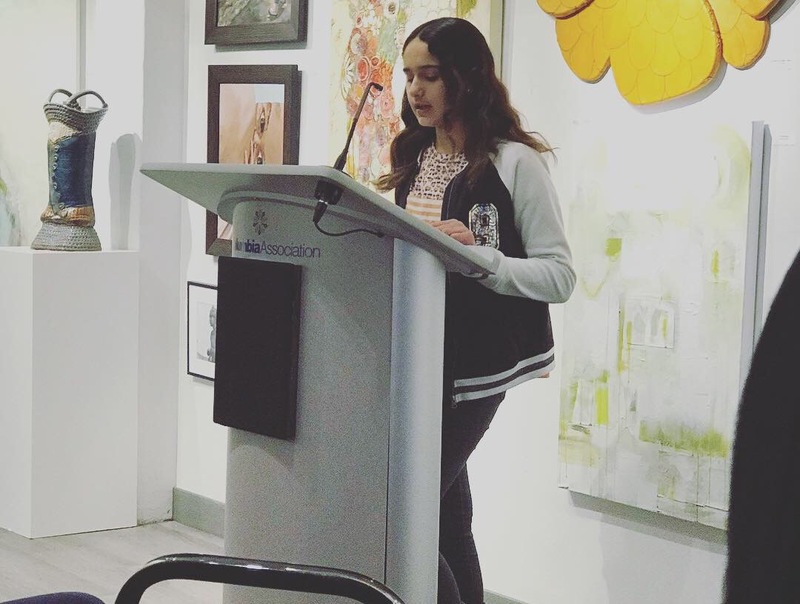 I knew it wasn’t my day job and when I pictured myself happy, I kept conjuring up the same image: Kid-me, twelve-ish, sitting in front of my sixth grade classmates reading my work for the first time. To be clear, I didn’t want to actually be twelve again. God, no. There were braces and glasses and bad relaxers. However, I did want that feeling. The feeling of being surrounded by folks ready to listen and be heard. As a child, I was a voracious reader. My favorite work was fiction that took place in worlds completely different from mine. In retrospect, I don’t know if that was my curiosity or just the fact that worlds that looked like mine didn’t really exist in the nineties literary landscape. Either way, for me, reading was like getting to try on another person’s soul. It was the ability to see, feel and taste what life was like in a way completely different from my own. I could go from my reality: being a girl with box braids and a beef patty on a subway in Queens to a young woman on vacation in Monte Carlo who meets and marries a man who, unbeknownst to her, murdered his first wife. When my sixth grade teacher decided to task us with writing original work to share with our classmates, it was as if I was going to finally see them and they would finally see me. Truth be told, I was probably the most excited kid in class. However, the seed was planted. I was a writer, and I bet if I looked hard enough, there were other kids who thought they were writers too. 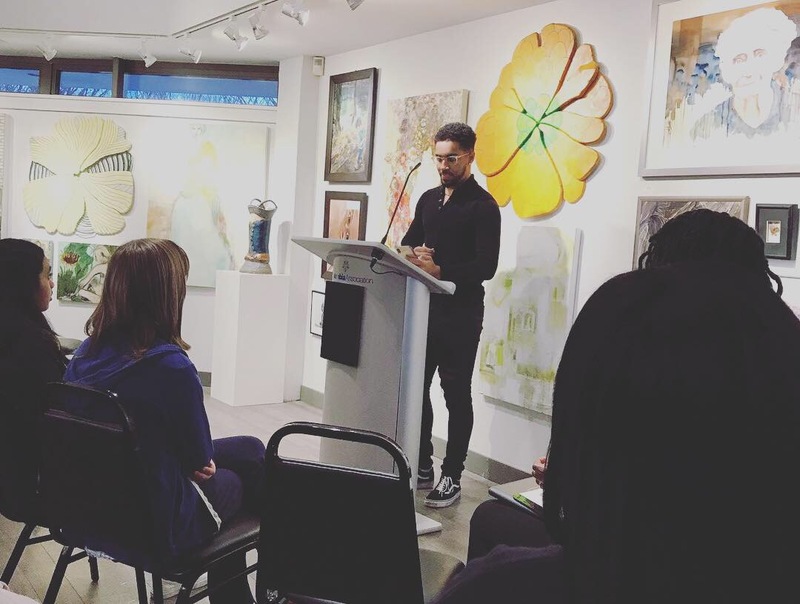 On March 22, I had the pleasure of hosting the Columbia Art Center’s first Teen Open Mic. The theme was “Choose Civility”, HoCo’s most known slogan which in the current social and political climate, could mean a great many things. I was so nervous leading up to the event. I knew how much a Teen Open Mic would have meant to me. I also wondered if the idea was antiquated. After all, isn’t social media one big open mic with the added benefit of anonymity? As teens trickled into the Art Center, however, I could see the same excited anticipation I had felt over twenty years ago written all over their faces. Naturally, there were nerves but armed with their words on their phones or on sheets of paper in their hands, they were ready. Their powerful work ranged in topic from mental health to self-acceptance to race to the environment. I was moved – not only by the incredible work itself but how beautifully it was received. The crowd was modest but as I said to the young writers that evening, I preferred it that way. By the end of the night, as we wandered around the beautiful art center and munched on the remaining snacks, the mood felt light. The teens, who had arrived as strangers, now shared praise and encouragement, promising to “see each other next time.” Their enthusiasm was infectious. I realized that although I was decades away from making that discovery in my own sixth grade classroom, I was invested in making similar experiences a possibility for other pre-teens and teens. We all have a desire to be heard. More importantly, we all have a valuable story to tell. 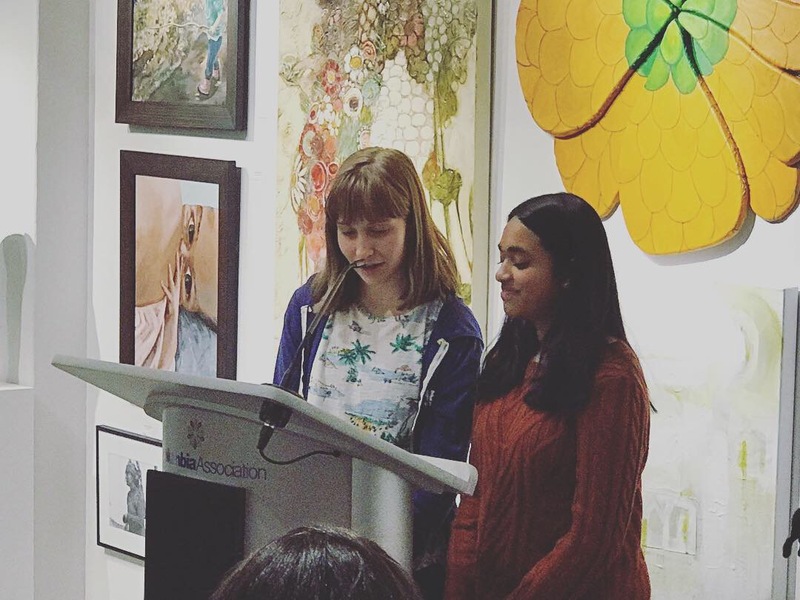 By Laura Yoo in Education, Guest post, Student programs on April 12, 2019 .